Do you have an unwanted car or truck and want to sell it for top cash today? Then your at the right place, We at Origin cash for cars offer highest cash rate upto $8999 for cars, truck, van, ute, 4×4 any make or model in Port Stephens region including Nelson Bay. Origin Cash for Cars in Nelson Bay specializes to remove all types of used vehicles from cars to 4wds, vans, trucks. We assure for the highest pay for cars in any condition including scrap, old, damaged, used, written off and unwanted. How to get started for selling your used cars for cash? Why Origin Cash for Cars in the Nelson Bay Area? In order to make the car removal procedure easy and effective, we carry all necessary paperwork with us at the time of removal. We make the procedure easy and faster as well. Our trained team do the loading, transporting and removal tasks easily. Foreign or domestic and of any age or condition, our executives reach to your location and pay you cash for car removal in Nelson Bay instantly. 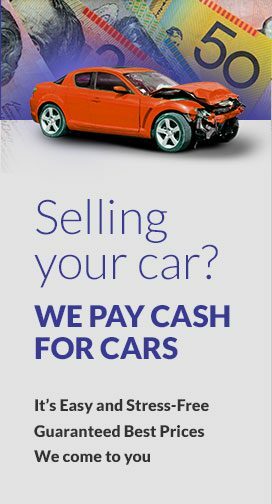 Origin Cash for Cars in Nelson Bay is a reputed company. We are known to offer handsome cash for used cars. Just fill in our online query form or give us a call to get an “Instant Cash Offer”. The agreed amount will be given to you while car is removed. We work 24 hours a day, 365 days a year.